Experience the history and beauty of Oahu’s Waimea Valley, renowned for its lush landscapes, botanical gardens, archeological sites, rare plants, and fresh water waterfall. The area is dedicated to preserving the flora, fauna, and cultural history. The Waimea Falls, also known as Waihi Falls, is one of the more accessible waterfalls on all of Oahu. 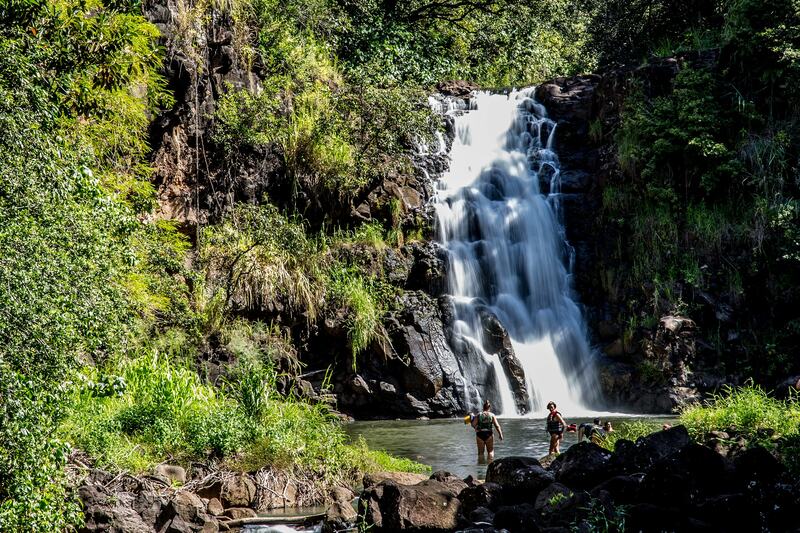 Take a dip in the Waimea Falls on the North Shore Eco tour! This tour is the perfect opportunity to enjoy the beautiful countryside and its views from a mountain top lookout. Waimea Valley is also home to a unique Hawaiian botanical garden and archaeological site. The North Shore Eco tour also includes a visit to the Pali Lookout above the Ko’olau Mountains. Other stops include the botanical gardens, Historical Haleiwa Town, and North Shore surfing beaches. The North Shore Eco Fun Waterfall tour also provides lunch. Exclusive to Imi Tours you will enjoy a specially crafted meal seated on a private terrace overlooking the beautiful gardens of Waimea Valley. Truly a VIP experience. Lunch will be a delicious, eclectic mix of cultures and flavors made with locally grown Hawaiian items. An equally delicious vegetarian meal is available with 24 hour advance notice of your waterfall tour date. 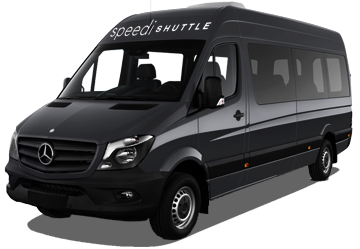 Reserve a North Shore Eco Fun Waterfall tour with SpeediShuttle today. Waimea Valley – Formerly known as the Waimea Arboretum and Botanical Garden, Waimea Valley has 5,000 botanicals from around the world, and has one of the best collections of Polynesian plants anywhere. Waimea Valley Waterfall – Located on a paved path in the botanical garden, the Waimea Valley Waterfall is a 45-foot waterfall. It’s about a 1 mile hike through beautiful botanical garden to the falls. 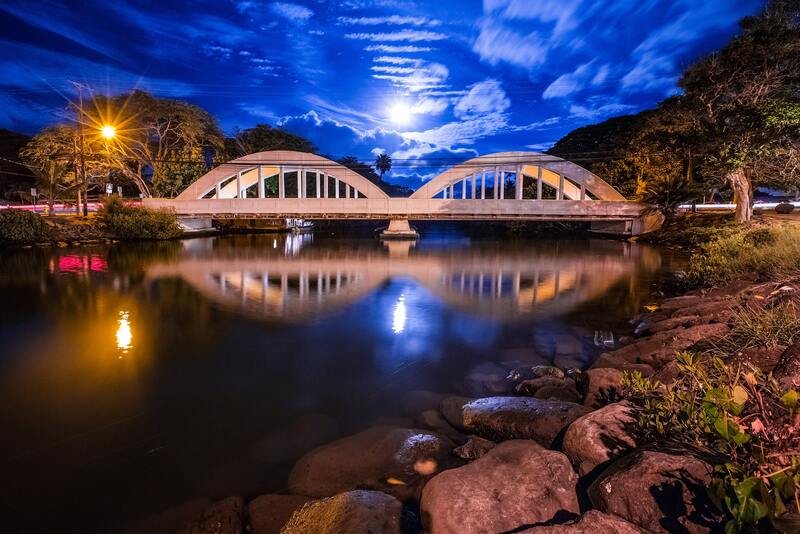 Haleiwa Town – Haleiwa is a surf town and cultural hub about an hour from Waikiki. It’s popular with both experience surfers and for those looking for surf lessons. If it gets too hot, be sure to cool down with some shaved ice, the area is famous for it. Nu'uanu Pali Lookout - Nu'uanu Pali Lookout offers panoramic views of Oahu's Ko'olau Mountain Range. While the views are breathtaking, the Pali Lookout is also known for its strong winds. Be careful, the wind can literally knock you off your feet.